Why does a displacement hull tend to offer a safer, more sedate ride, roomier accommodation, and more seaworthiness, making them ideal for offshore cruising, while planing hulls on the other hand offer the ultimate in speed, thrills, and excitement? Mostly it is about the shape of the hull below the waterline, the boat’s weight and her waterline length. There are various formulae that can help towards understanding a boat’s handling characteristics. But considered separately, these can give a misleading notion of what a boat is like. A more nuanced evaluation needs to consider how they interact. While the DL ratio can give you a good idea of a boats performance characteristics, these figures can, very easily, be misleading and misunderstood. When using D/L ratios to evaluate boats, you need to bear in mind that the ratio varies a great deal depending on the displacement value used to calculate it. Also, bear in mind that there is no provision in the formula for different underwater, hull shapes. And on top of that the D/L is usually worked out based on her un-laden weight, adding a crew and stores can make quite a difference to how she handles, especially on smaller boats and that is without considering how the underwater shape alters as the boat heels. To find a boat’s D/L ratio, you first calculate its displacement in long tons (DLT), with 1 long ton equalling 2,240 pounds. Then take the boat’s load waterline length (LWL), multiply it by 0.01, and cube the result. Finally, take this result and divide it into DLT. As per this formula; D/L = DLT ÷ (0.01 x LWL)³. A D/L ratio below 100 is considered ultralight; a D/L value between 100 and 200 is light; 200 to 300 is moderate; 300 to 400 is heavy; and over 400, is very heavy. A formula often used to ascertain how fast a boat can go is; the square root of her waterline length multiplied by a constant. The constant is based on the wave making resistance of the particular hull. This is not a law on the maximum attainable speed but only the formula giving the hull speed at which the created wave length equals the hull length on the waterline. It is quite possible for many boats, even those with genuine displacement hulls, to exceed their calculated ‘hull speed’. Most naval architects and designers will differentiate between the “hull speed” and the “speed of advance” when making their calculations. In theory, the only limit to a boat’s speed is power. However, a practical limit is reached when the boat speed is high enough to get there in good time but slow enough to be fuel efficient and give a comfortable ride. It is a judgement call not a mathematical law. The formula used to calculate the ‘hull speed’ in knots for an average, traditionally hulled boat is √(Waterline length) ×1.34. For Semi-displacement hulls the speed is usually around √(Waterline length) × 1.5 to 2.5 in knots. The hull-speed formula tells you the theoretical maximum speed that your boat can reach reasonably easily. A displacement hull at full speed creates a wave whose trough she sits within with the wave’s crests at her bow and stern. The theory suggests that any attempt to go faster will mean the boat attempting to go up the back of the bow wave, which will require extra power. However, the formula does not make allowances for different hull shapes. For instance, a boat’s effective waterline length can increase as it goes faster and/or heels, hence those long overhangs on classic racing sailboats. And the stern can be designed to significantly suppress its stern wave and to increase buoyancy aft. The speed of a planing hull on the other hand, is governed almost exclusively by the power-to-weight ratio. If you can keep total weight down to 40 pounds for every 1 horsepower available, you’ll do 25 knots or so. And if you can keep the weight down to 10 pounds per horsepower, you’ll do 50 knots. Keeping in mind the above caveats, the D/L Ratio can give us a fair idea of how a sailboat will behave. Boats with a heavy D/L will have the most comfortable motion but passage times may be slower. At the other extreme, ultra-light displacement boats may be fun for short periods of round-the-buoys racing but will give an exhausting ride. These boats may operate like displacement hulls when at rest or at slow speeds but climb towards the surface of the water as they move faster, then skim on top of the water rather than pushing it aside. 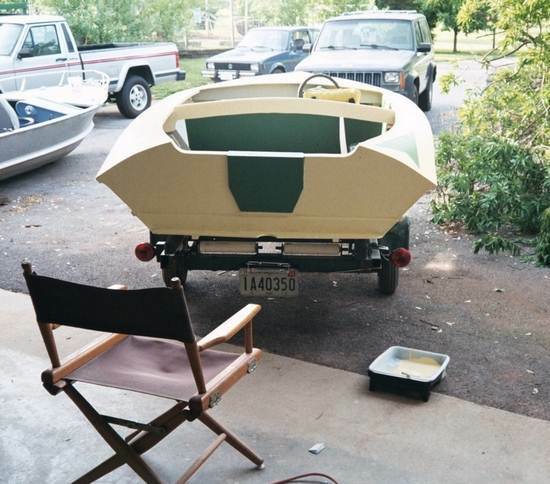 Achieving high speeds on the water requires a hull that easily transitions onto the plane. Characteristics of a planing hull include flat bottom surfaces from amidships aft (from the middle to the back of the bottom) and a flat transom. At planing speeds, water is breaking cleanly from the transom and the hull is riding on its straight aft sections. The greatest resistance at planing speeds is frictional resistance. Giving the bow a pointed shape allows a hull to slice through waves instead of slam into them. With few exceptions, planing hulls have chines and strakes. Strakes are the little “ridges” you see below the chines, they provide lift, which is important in the planing process and overall running efficiency. 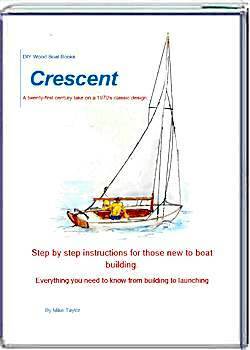 And while a racing boat may be able to accelerate quicker, a cruising hull can make up for that over long passages. If your main aim is to go cruising, then safety, dependability and comfort (sea kindliness) are more important than speed and a displacement boat is better at handling storms at sea, especially for short-handed amateur crews. However, an ideal compromise for most of us is somewhere in between the two extremes. As I mentioned above, the only limit to a boat’s speed is power, in theory at least. However, there are practical limits. While modern, high-horsepower engines will allow boats to move at speed the drawback is that fuel consumption will be greater and comfort and safety may be compromised. These hulls tend to have pointed bows as this poses the least wave making resistance at "hull speeds". It takes a relatively small amount of power to push a displacement hull at its "hull speed" (Hull Speed =√(Waterline length) ×1.34). Throughout the past few years, much has been made of the ability of older semi-displacement designs to go faster and faster simply by adding more power. The problem with these "fast trawlers" is that the hulls were never designed to go that fast in the first place. The results are not always favourable, as evidenced by their very wet ride and uncomfortable running angles. At faster speeds, wave making resistance increases exponentially because the vessel is trying to climb on top of the bow wave, meanwhile the stern is being sucked down by the dynamic forces from the "hole" created in the water as the vessel moves forward. Massive trim tabs and ugly splash rails have been added to try to compensate for what is essentially a design limitation. 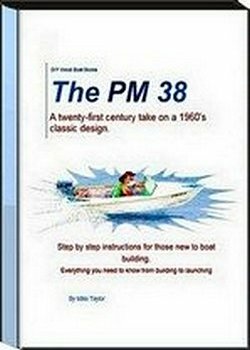 Ironically, most owners find themselves throttling back to the speeds the boats were designed to run at in the first place. There has also been a trend toward wider motor boats that have more room down below for accommodation and may feel more stable at the dockside. But these wider boats are more likely to pound in choppy conditions. On the other hand, a semi-displacement hull does not live by these rules. In effect, its shape allows the hull to partially escape the confines of the bow wave and to "get out of its own way." By flattening the stern sections and by limiting the deep entry forward, these hulls will provide a certain amount of lift, similar to a planing hull. This, within limits, by adding more power will allow for an increase in speed. It should also be noted that the chines, where the bottom of the hull meets the sides, benefit from slightly curved transitions. This shape provides a more natural, gentle motion in a beam sea and they tend to have wide, flat aft sections similar to New England lobster boats. These hulls are designed to partially climb on top of the bow wave and separate the transom from the stern wave. "Hull speeds" are usually around √(Waterline length) ×1.5 to 2.5 in knots. However, it takes a lot of power to drive one of these hulls up onto the plane. Most small power-driven vessels, including personal watercraft (PWCs have planing hulls, allowing them to travel more rapidly across the water. Boats with planing hulls are designed to rise and glide on top of the water when enough power is supplied. Today’s hulls almost universally have a sharp corner or a “hard” chine. Round-chine boats tend to roll a bit more, so they’re not favourites with anglers who prefer the characteristics of a hard-chine boat (a boat that resists rolling is said to be ‘stiff’). However, absolutely flat bottoms, a sub-species of planing hulls, can be extremely fast but they are not easy to control as they tend to punch their way through waves. Sometimes called shallow-V bottoms, these running surfaces have a deadrise angle of 20 to 25 degrees amidships which reduces to 5 degrees or less at the transom. This provides a smoother ride, but it still retains the quick ability of a flat-bottomed boat to plane. This type of hull has a deadrise of 25 degrees amidships which reduces only slightly to 20 degrees at the transom. This shape allows high-speed operation in rough water. 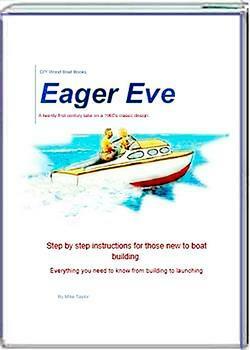 Steps are, essentially, elevation breaks in the hull that create multiple running surfaces. As the boat speed increases, it rides on these surfaces, with area of contact with the water moving progressively further aft, resulting more speed with less power than a conventional deep-V hull. Little use of the trimaran concept has been made in powerboats, although many so-called “cathedral” hulls are close relatives. Instead of three separate hulls, a cathedral design squishes them together until they often share a common planing surface near the transom.